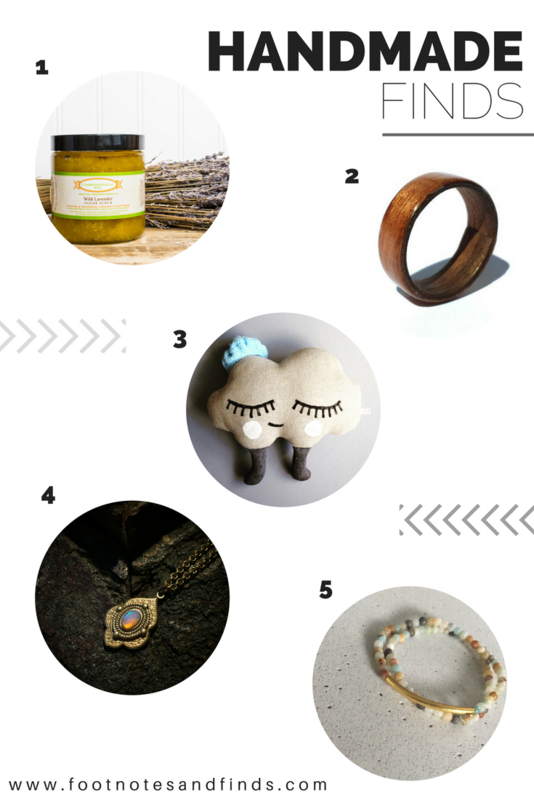 After a little bit of a hiatus our really popular series on the blog, Handmade Finds, we have brought it back! After becoming a parent, I became obsessed with giving my family the best start in life by limiting, and reducing our exposure to the toxins in our environment. I started making most of our personal care products and cleaning products. One year, I gifted some sugar scrubs to family for Christmas. They were such a big hit that I decided to start my own business. Since my first launch back in 2010, I've picked up a couple of partners along the way and added more products to our line. Commonsensical Spa is a hippy but chic skincare line that nourishes and pampers the skin. We are committed to creating products that practically pamper the consumer while not taking advantage of the producers. Every effort is made to ensure that our products---from raw material to finished product--are natural and handmade, organic and fair trade. It makes sense that our skincare products should have all these qualities. Commonsensical Spa lip balms, sugar scrubs, hard lotions, deodorants and facial cleansing oils are made fresh, by hand, and offer the most luxurious skincare experience that also doesn't break the bank. You can even sign up for a subscription for your favorite products! Shop online at www.commonsensicalspa.com. Follow us on Instagram (@CommonsensicalSpa) and like us on Facebook for natural living tips as well as spotlights on products and how to use them. Organic, fair-trade sugar combined with nutrient rich oils to gently yet effectively polish and moisturize your skin. Gentle enough to use daily or enter it into your weekly routine for nourished, silky skin you can feel and see. Safe for use on every part of your skin. Insider tip: this product works great on your lips--getting rid of dry skin, and leaving your lips rosy for a natural look or primed for applying your favorite shade. Available in two sizes: 8oz and 16oz. 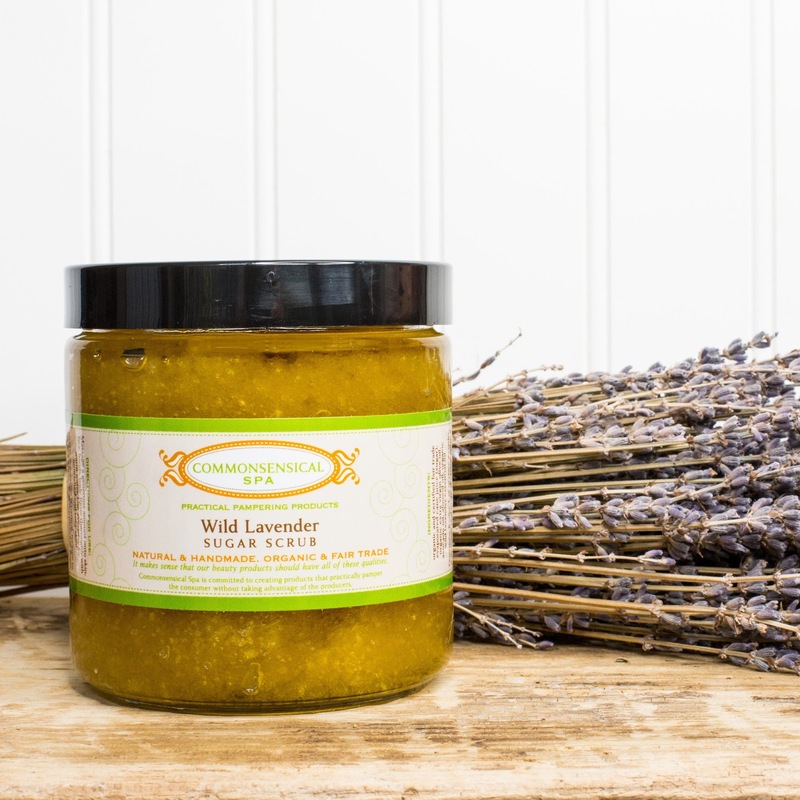 Shown here in Wild Lavender, but is also available in Sweet Orange and Peppermint. Once Again & Forever wishes to keep craft alive and history still burning within our hearts. Ensuring generations to come that craft skills are enjoyable and practical. Passing on the nostalgia and beauty of things handmade. To keep the past at the present, remembering and keeping the memories aflame of somewhat a simple life of not long ago. By living a life that many miss. 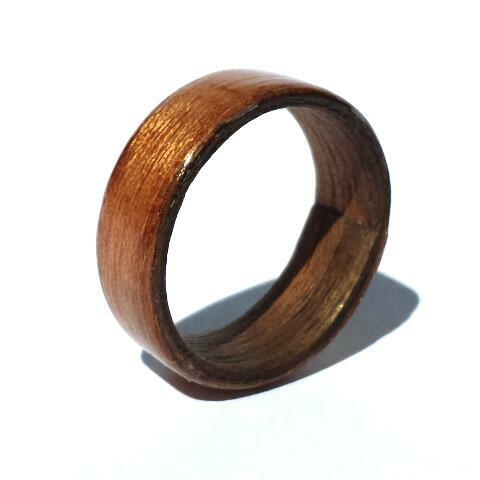 This beautiful handcrafted wearable natural bentwood ring is made over time to create a unique gift. Perfect for gifts, wedding rings, either male or female. Sanded by hand and then finished with quality acrylate finish creating a beautiful shine. My name is Anna and I was born in Poland but currently based in UK. I do things, try to create them in my own way. I spend most of my free time sketching, sewing. I love to try new prints, fabrics. I am an ethical vegan and I never use any animal products. Recently I felt in love with linen, cotton is also great. I make prints in unusual way, using shaped vegetables and non-toxic ink. I've got lots and lots of ideas but so little time. It doesn't matter. Every single creature in my little shop has its own story. I adore them, hope you will too! As you can see I am a little pillow in a cloud shape, made from 100% grey linen. My eyes and long lashes are painted with non-toxic fabric paint. My cloudy body is 27cm wide, from left to right;) I can wear a hat, but it's not perfectly fitted.. I am the one and only, created in oh frankie studio. Don't worry, I don't contain dangerous parts. oh..did I mention that my legs are grey too? Antique, vintage, handmade and bespoke semi-precious jewellery pieces and accessories, gift wrapped to make the perfect present. 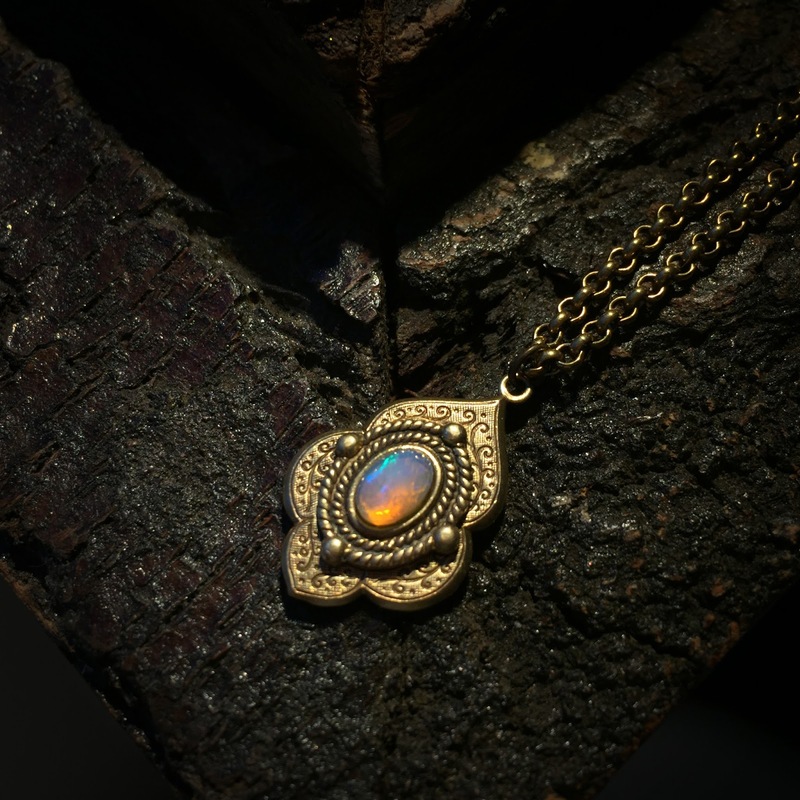 A precious handmade antique, ornate necklace with a fiery Ethiopian Welo opal which is the October birthstone known to have properties that en-kindle optimism, enthusiasm and creativity, and allows for the release of inhibitions inspiring love and passion. I'm Neeli of tweet & peep - my handmade handmade shop. I love making special pieces such as jewelry for flower girls, weddings, or just everyday wear. Stretch choker necklace 15" made with amazonite beads finished with gold tube bead and small gold star. 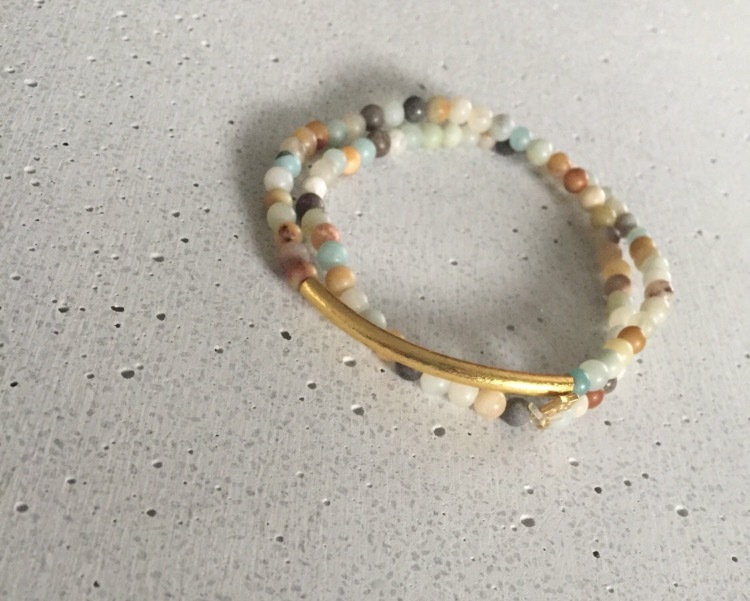 Can be wrapped and worn as a bracelet. I loved your October segment of handmade finds! Tweep and Peep has very cute jewelry, and I love that the choker you featured doubles as a bracelet! That little cloud pillow from Oh Frankie Handmade is also so adorable. Thanks for sharing these picks! rVery good idea to start this series again because I love giving unique gifts for Christmas and LOVE supporting small businesses as opposed to the big conglomerate companies! Good for you! An Instagram for Creative Entrepreneurs like you!